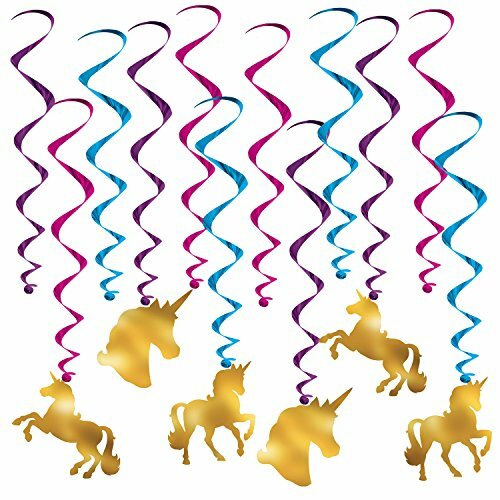 UNICORN HANGING WHIRLS - 6 Whirls. Add color and shine to your little girls or kids, fantasy or princess birthday theme party. EASY TO HANG - Party decor with colors and sparkle, sure to catch your guest's attention. 18 whirls with icons. Measures 17"- 31.5"